[New!] We all have a superhero in our lives, and this Marvel Comic inspired Cakelet is designed perfectly for that someone special. 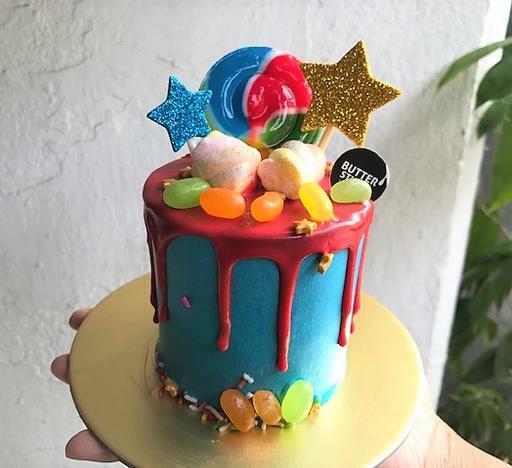 A chocolate praline cake frosted in Marvel-licious colours and decorated with jelly bean "gem stones", marshmallow, lollipop and glittery foam stars, this is a sure delight for that Marvel fan or hero in your life.